NISSAN GT-R. THE EVOLUTION NEVER STOPS. With the new exterior styling, 20“ aluminum alloy wheels and a stunning new Blaze Metallic paint, a new level of style and flare is brought to this legend. The redesigned front bumper and splitter redirect air around the front wheels to reduce drag while the larger grille openings allow for more cooling of key components. The redesigned side skirts helps prevent air flow from being drawn underneath the vehicle while the area around the C-Pillar has also been refined to reduce turbulence and accelerate air flow toward the rear of the body. 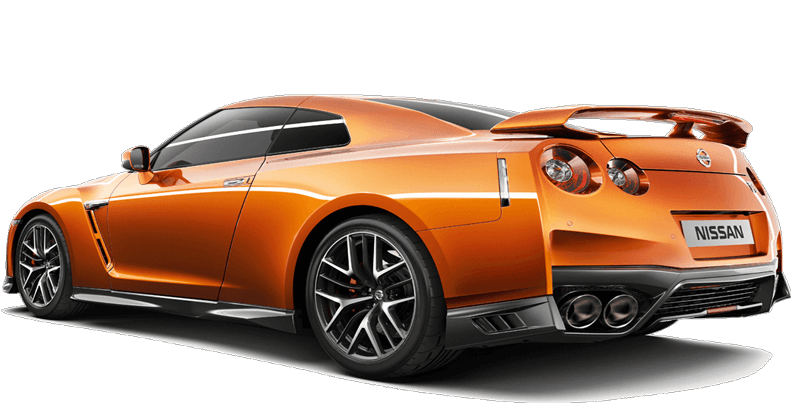 The rear of the Nissan GT-R has been extended at the sides to accelerate air away from the back of the bumper, helping to pull hot gases away and cool the exhaust. 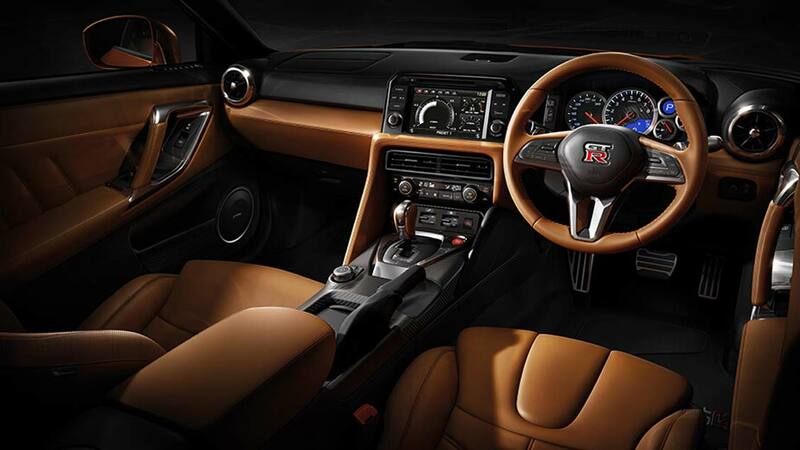 Special attention to detail means the Nissan GT-R feels familiar the moment you sit down. The dashboard of the Nissan GT-R premium luxury trim comes from a single Nappa leather hide, hand selected for tone, and free of even the smallest imperfection. The aluminum bezels surrounding the ventilation controls feature a subtle etching on the outside to enhance their feel. Luxury can live quite easily with performance. 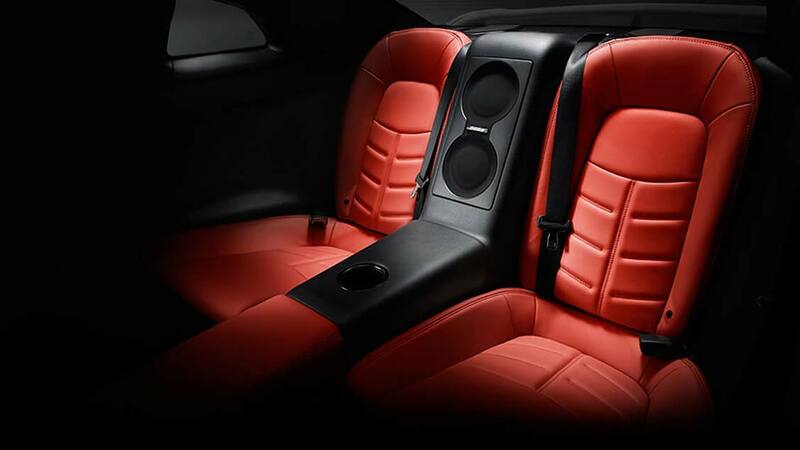 The Nissan GT-R front seats have also been redesigned with added comfort and support. Strap yourself in. Press start. Feel that roar. 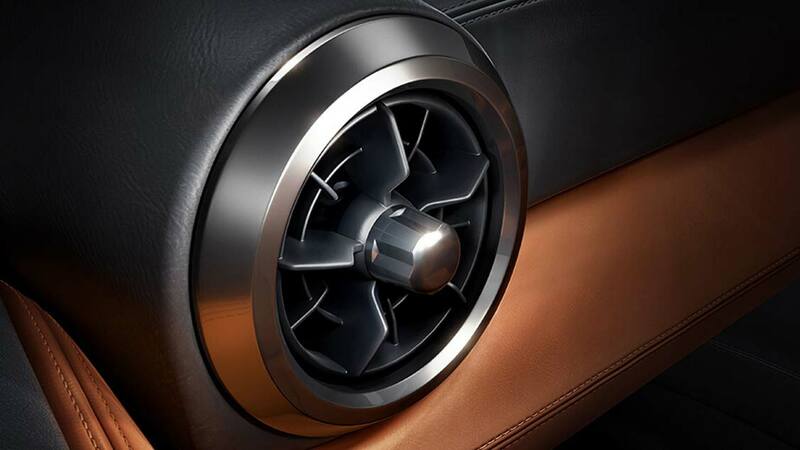 That's a twin turbo V6 engine, which produces an incredible 419kW and 632Nm of torque. 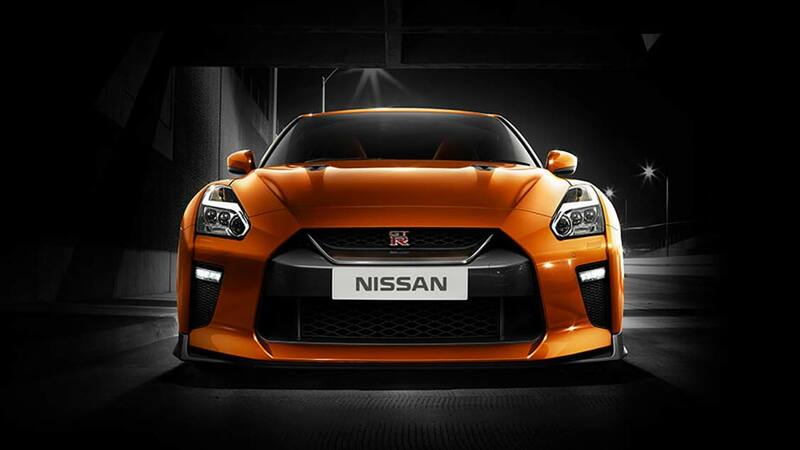 Each Nissan GT-R engine is hand-assembled by a single technician known as Takumi – and proudly bears a plaque carrying their signature - in a dust and temperature controlled clean room much like those used for Formula One racing engines. 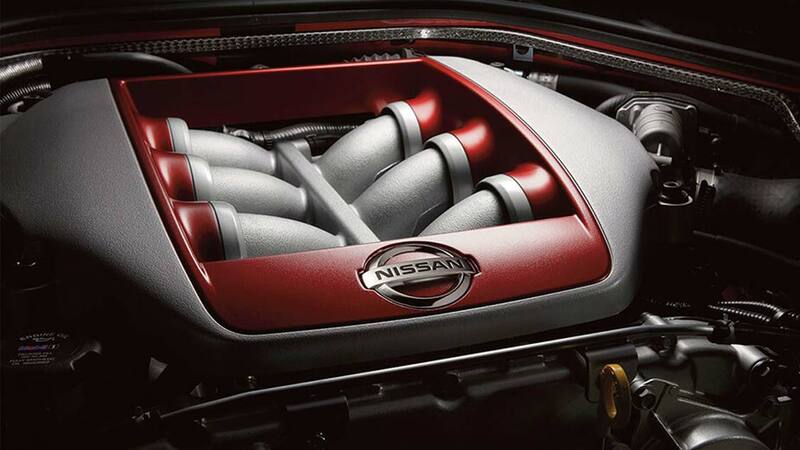 The Nissan GT-R now provides two dual 5" titanium exhaust outlets. Titanium is notoriously difficult to work with, but meets the demanding requirement to aid with cooling the engine's prodigious output. Each exhaust is hand-built by a master craftsman, and is specifically designed for an individual vehicle, making it a true example of performance art. The longer a shift takes, the less time power is being put to the ground. 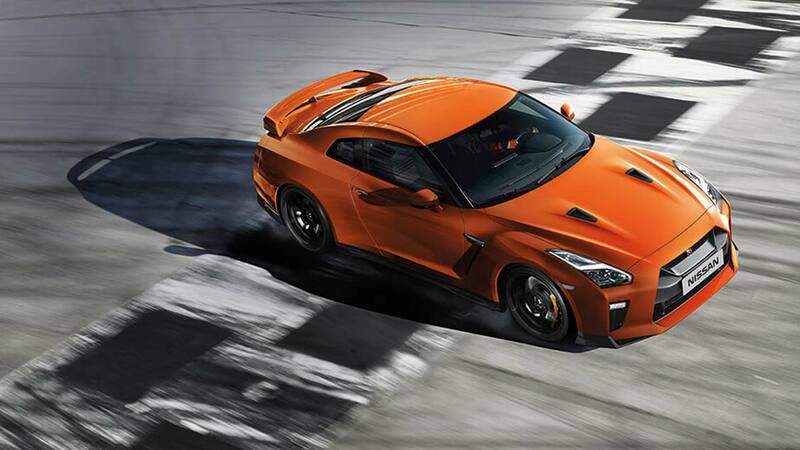 So for maximum acceleration, the Nissan GT-R has paddle-shifted 6-speed sequential dual-clutch transmission meaning you can snap off lightning-quick gear changes in just 0.15 seconds when in R-Mode - almost as quickly as you can blink. 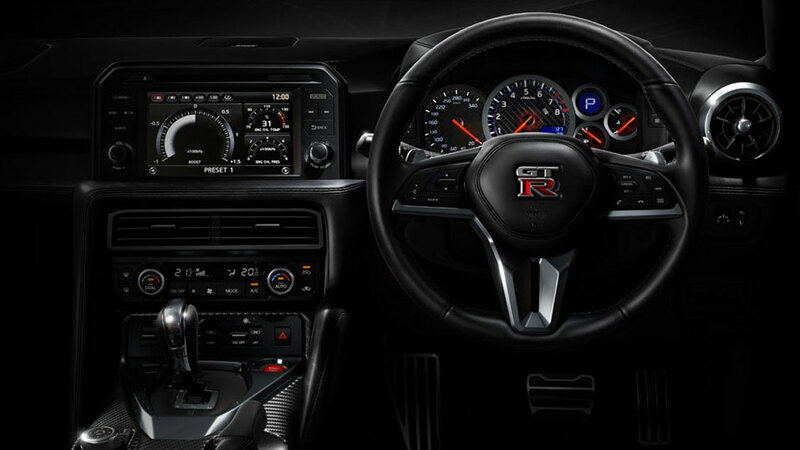 With a new streamlined interior, all gauges and controls are easily located and intuitively designed to minimise the time looking away from the road and maximise your time enjoying the phenomenal capabilities in the Nissan GT-R. 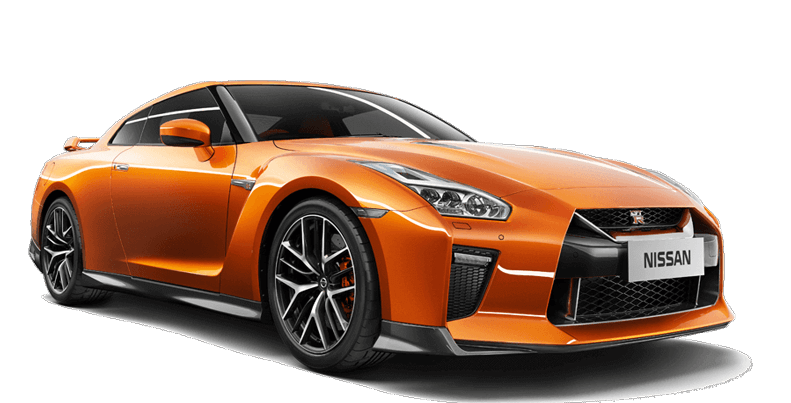 Completely redesigned, the Nissan GT-R has a large 8” multi-touch screen that puts all the information you need in a single location, including audio, navigation and the Multi-Function Display system with driver-configurable display. For the new model, paddle shifters are mounted on the steering wheel, helping to ensure that a rapid-fire shift is always easily within reach, regardless of wheel position. 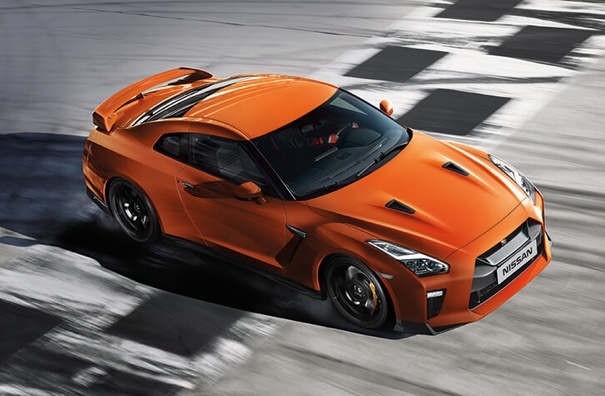 For road, track, and nearly anything in between, the Nissan GT-R has a three-mode system featuring three switches, which allow on-the-fly adjustment of specific parameters for the transmission, suspension and stability control. Supercar performance with amazing flexibility - at the touch of a switch. 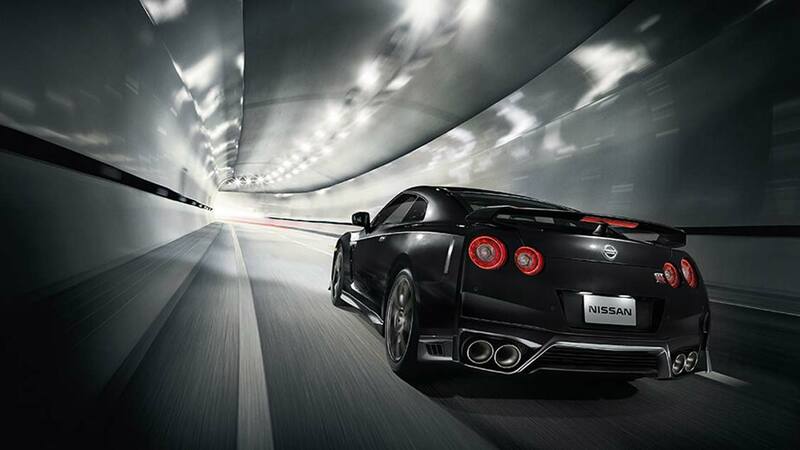 The immense power and capability of the Nissan GT-R comes with safety, control, and convenience designed to inspire confidence every moment you’re behind the wheel. 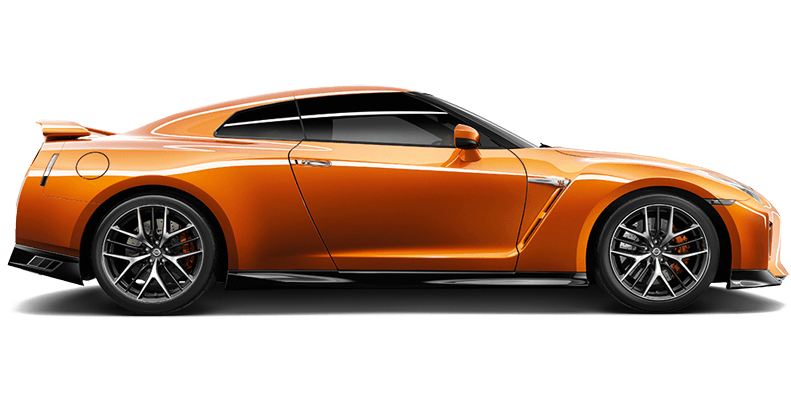 The Nissan GT-R has an advanced All-Wheel Drive system that gives you confidence anywhere, anytime – with power control to all four wheels. Combined with an equally advanced Vehicle Dynamic Control (VDC) system, this means you have superior confidence and controllability. 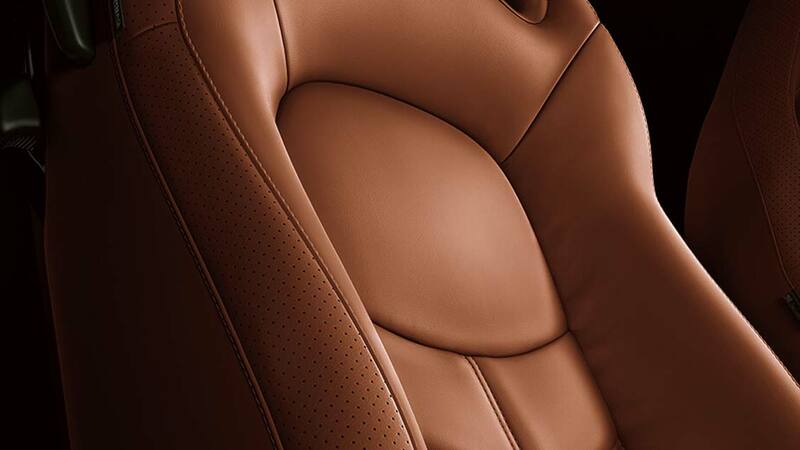 The Nissan Advanced Air Bag System includes dual-stage front driver and passenger air bags and two side-impact air bags, which move with you as you adjust your seating position. Above, roof mounted curtain side-impact air bags help provide head protection. The 390mm front and 380mm rear brakes feature 6-piston front and 4-piston rear calipers for stronger, more equal clamping power – something you'd expect to see on an all-out competition machine. The Nissan GT-R also benefits from a full-floating rotor – a racing technology originated by Brembo® - reducing the tendency of the rotor to warp. 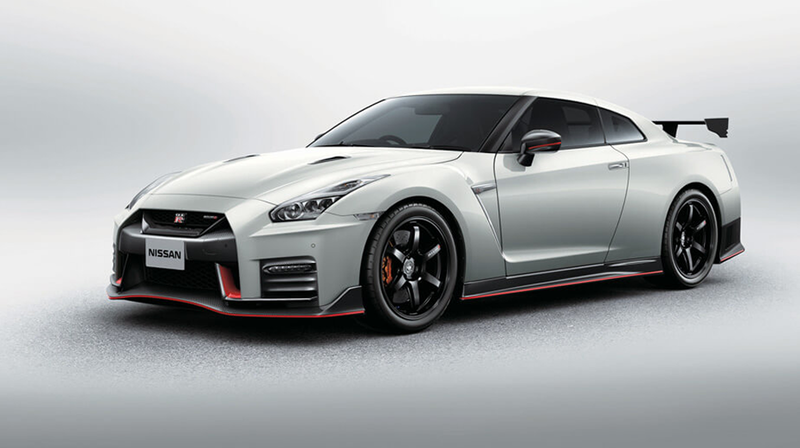 For drivers who desire more performance, the Track Edition engineered by NISMO gives you racing inspired equipment including NISMO wheels, NISMO-tuned suspension and special body bonding, achieving greater stiffness. 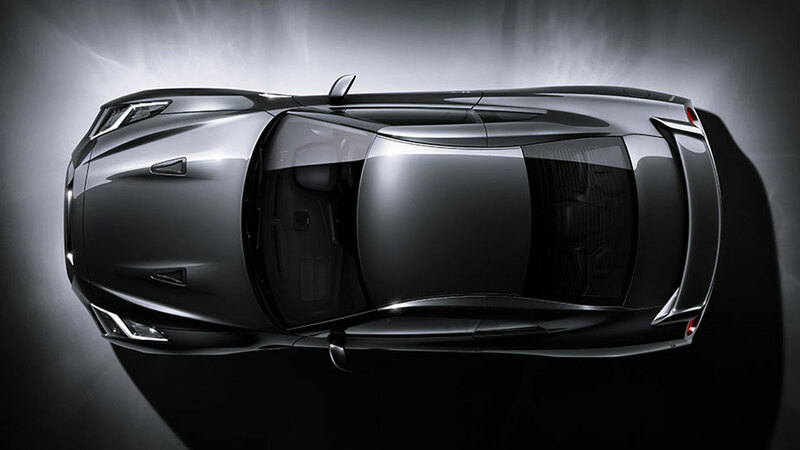 On the outside, the carbon-fibre rear spoiler saves weight, and is a work of art in its own right. Inside, the red and black Recaro® sports seats hold you in place when at maximum attack. From a uniquely developed high-downforce body kit, to a masterfully-tuned suspension, to specially developed high-capacity turbos, the 441 kW Nissan GT-R NISMO is pure performance. 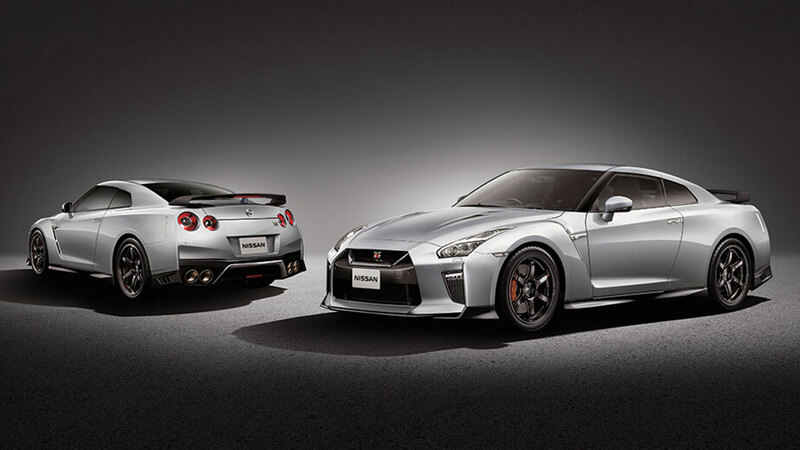 As NISMO has been the factory racing arm of Nissan for over 30 years, you should expect nothing less.